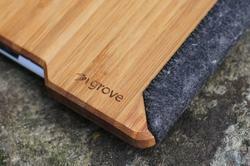 Following the release of Apple iPad 3, Grove has applied its famous protective case to the newest iOS tablet. If you’re looking for a protective case for your ordered iPad 3, let’s go on checking Grove bamboo iPad 3 case. 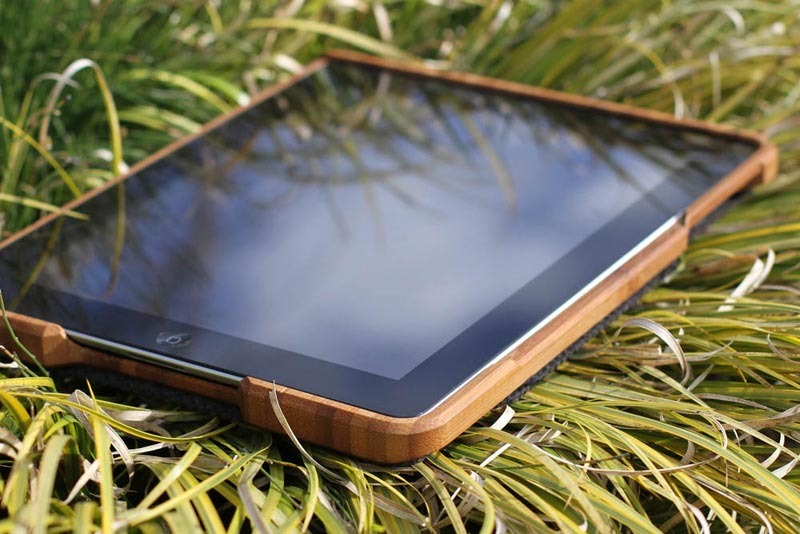 This is an eco-friendly, well-designed protective case for iPad 3. 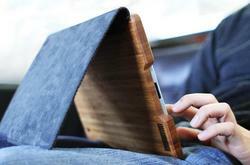 As we can see from the images, the iPad 3 case features a solid bamboo shell and a sturdy single-panel cover of all-natural leather or wool felt in order to protect your new iPad 3 from shocks and scratches, and offer you an elegant design, moreover, the wrap-bound cover doubles as a practical iPad stand to hold your iPad 3 in landscape viewing mode or provide you a lower angle for typing. Apart from that, the custom-designed cutouts allows you access all the buttons and functions on your iPad 3. 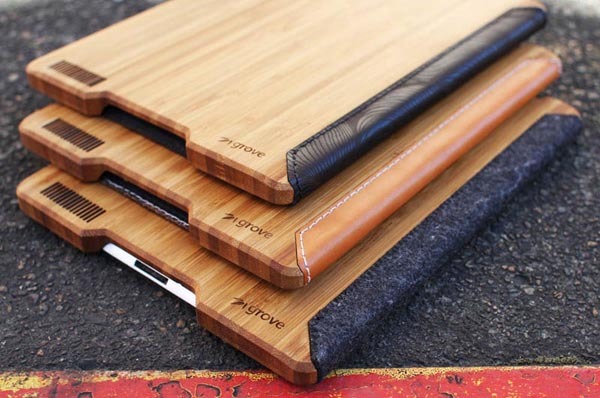 Grove bamboo iPad 3 case is available in two different materials on front cover including leather and wool felt, each one is priced at $119 USD, while the custom bamboo case costs $159 USD. If you’re interested, jump to Grove official site for more details or check out the following demo video first. Additionally, if you need other options, you might like to check Pop! 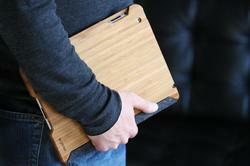 iPad 3 case. 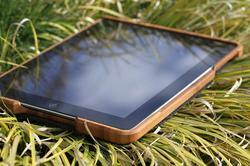 case where there is selling it?